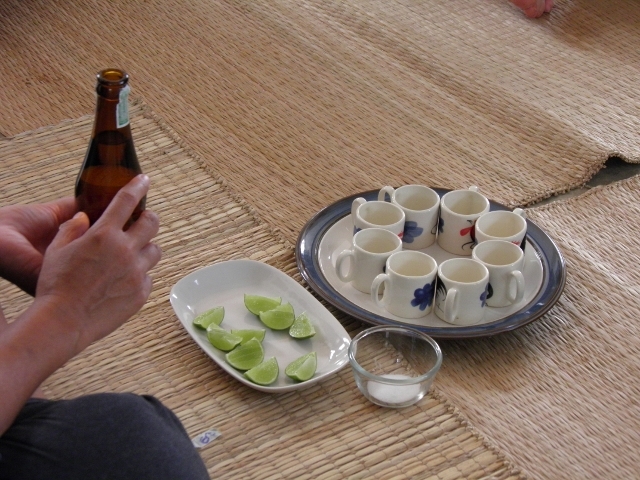 The morning began with a trip from Sawasdee Chiangmai a Boutique Guesthouse. 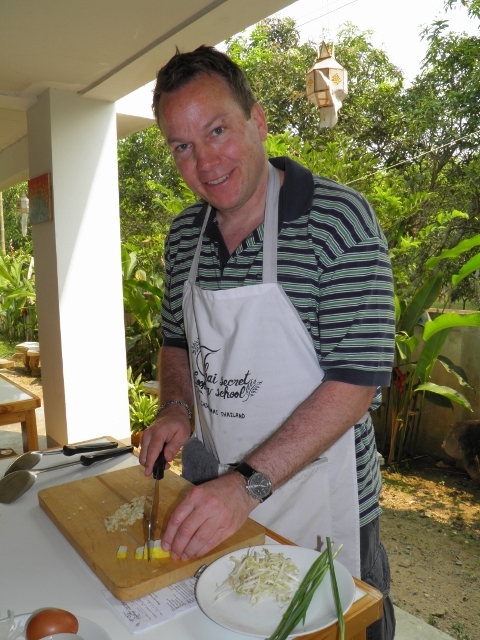 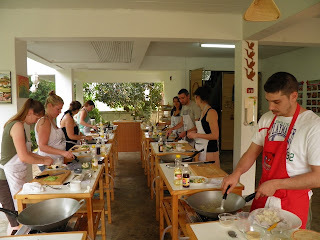 Thank you to Stephen and Jeff that avoided humid and buzzing of city to spending a wonderful day cooking with us, Thai Secret Cooking School gives you not only a delicious meal but a much better appreciation of Thai cuisine and Thai way of living. 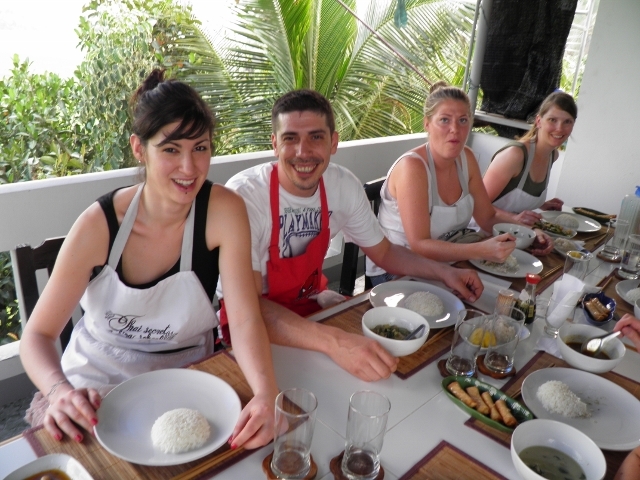 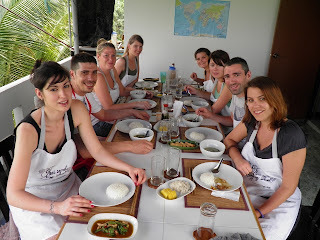 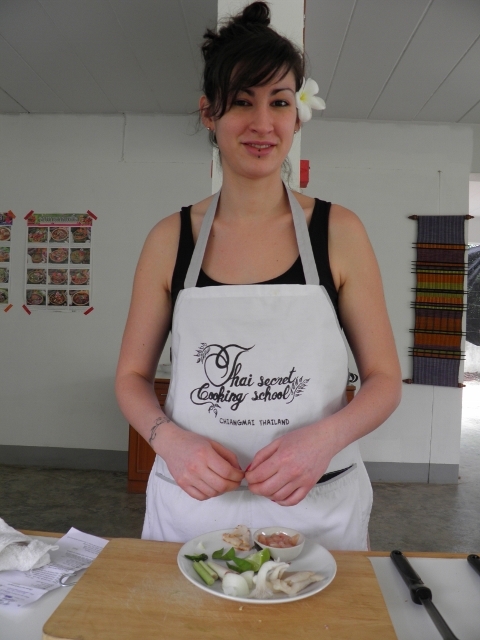 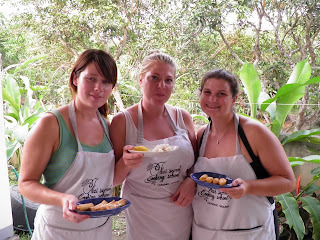 We are the unique Thai Cooking School & Organic farm. 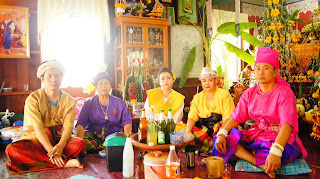 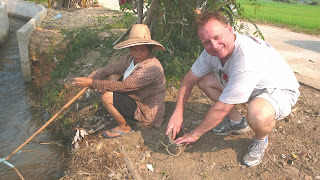 We get you to experience the real local way of living on Pha-pai subdistrict , Sansai district ,Chiangmai Thailand. 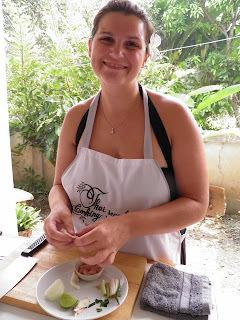 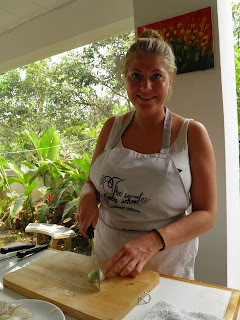 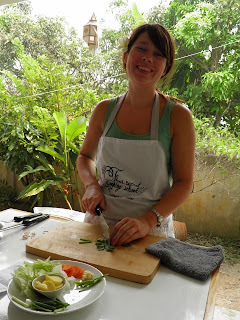 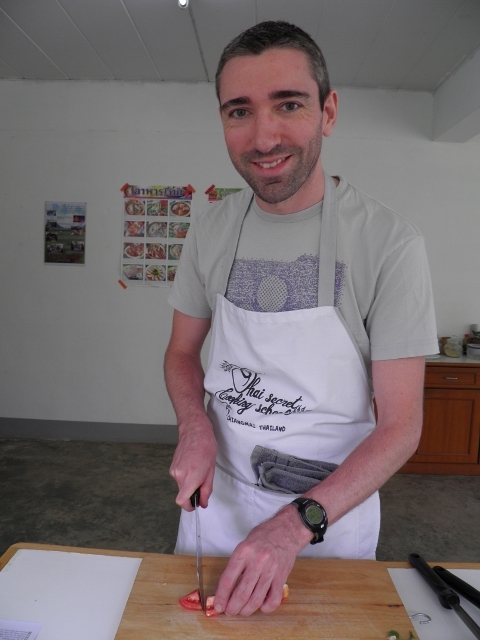 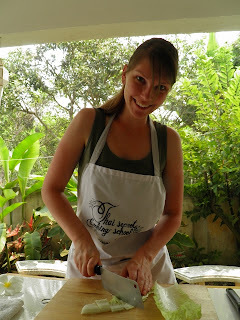 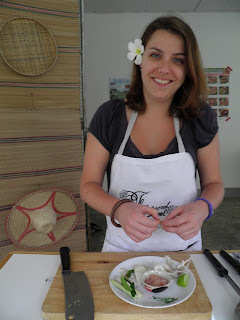 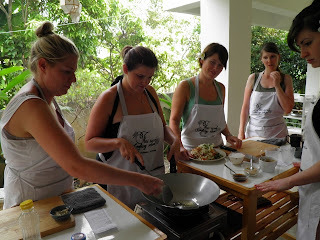 This happened at Thai Secret Cooking School & Organic farm. Let's follow Stephen and Jeff being as a local for a day. 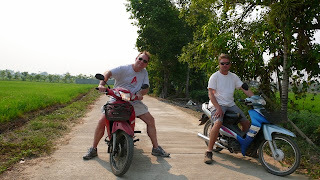 This morning we went to the temple and made merit and then go out of towm to our farm. 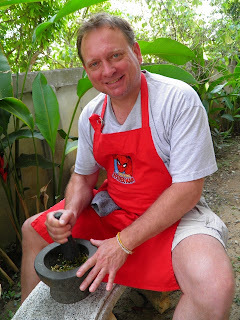 Stephen is pounding garlic and chili for his stir fried holy basil with chicken. 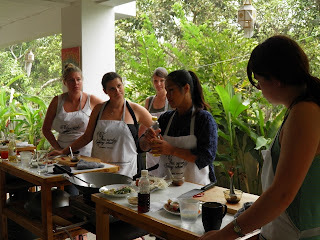 We enjoyed cooking in the clean open air kitchen. 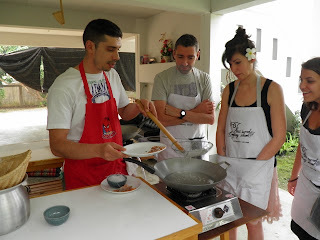 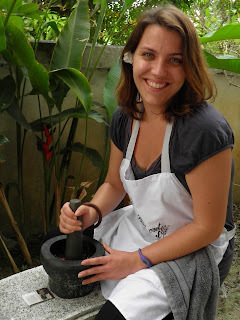 And learn how to cook sticky rice with Bamboo steammmer. After a big meal, we went to a drive to see more nature attraction in the area. 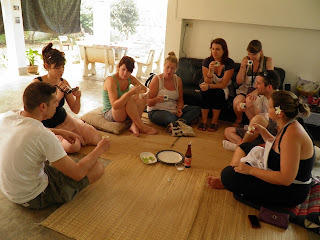 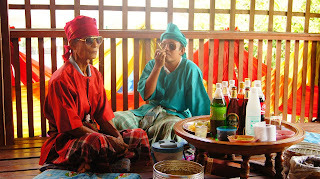 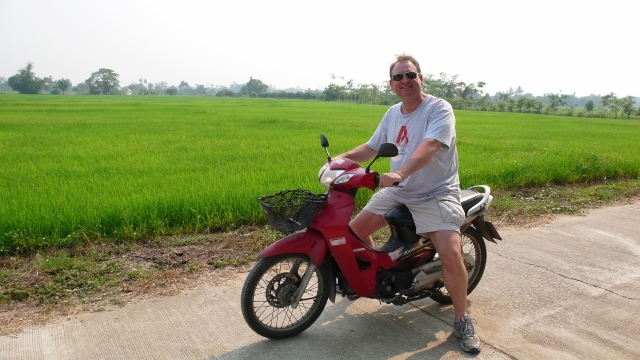 This a little tour is allow Steve to gain a closer understanding about the Thai culture by engaging with a local. 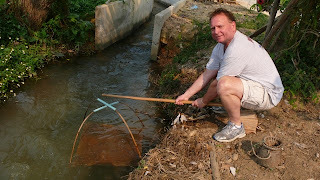 "Stephen was trying to fish Thai style"
Rasbora Heteromorpha (a type of fish) How we cook this fish ? 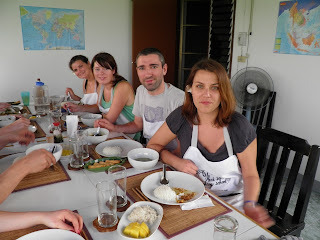 At day'end, they left with full bellies, I absolutely happy to have them at our home. 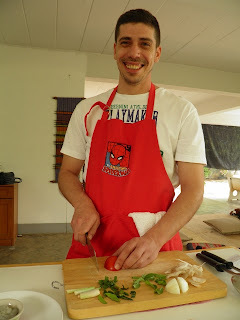 Stephen and Jeff was so friendly and we had so much fun cooking together. 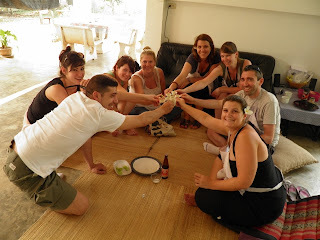 Thank you very much to Sawasdee Chiangmai House that recommended them to us and Thank you very much to Stephen and Jeff for joined us.